Thank you for visiting the RHDJapan blog. 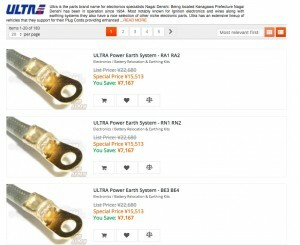 After an extremely long run Ultra has decided to discontinue the lineup of Power Earth System. We will be extending a special price on the remaining stock while still available. This will be the last chance to get hold of these super high quality vehicle specific kits.